I was the very lucky winner of the Five Year Blogiversary hosted by Eclectic Lamb. I was fortunate to get a whole lot of fun bento gear including a pack of cute little gnome picks. I used them in a lunch right away! 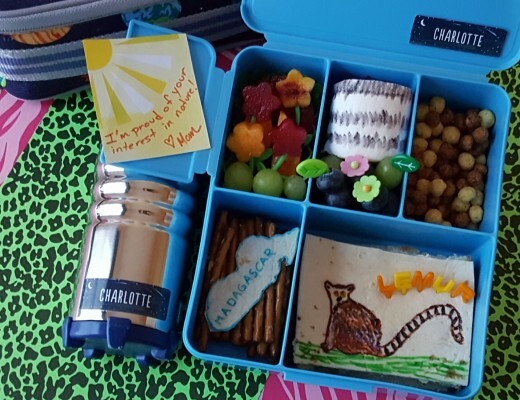 I packed the lunch in our Planetbox Rover. 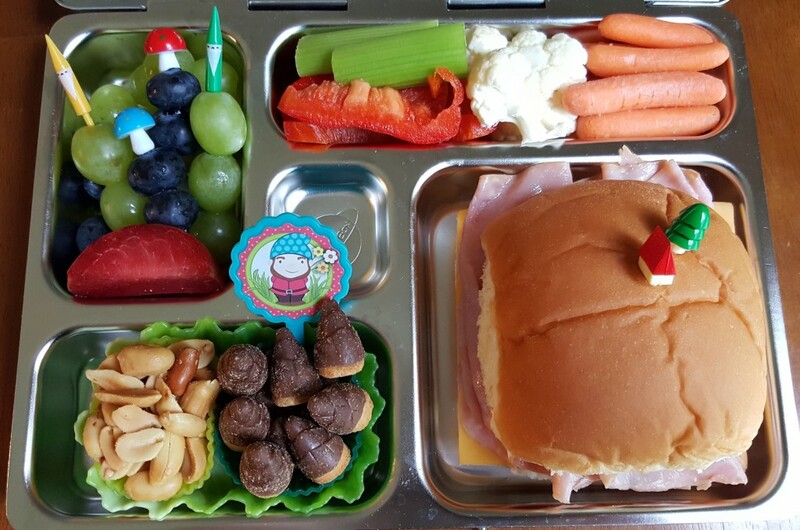 I included veggies in the top section with a ham and cheese sandwich in the main compartment. I placed little house and tree picks on the sandwich. I thought they couple represent a sweet little home up on a hill for the gnomes. I placed fruit in the top left section. 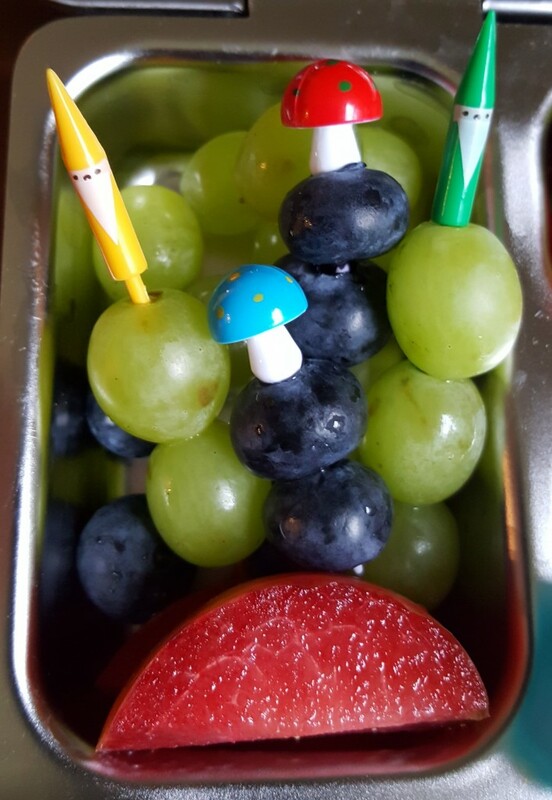 I placed grapes on the super cute gnome picks and blueberries on little mushroom picks. I also included slices of pluots. In the bottom left section, I used one of the fun lettuce cups I won from the giveaway. 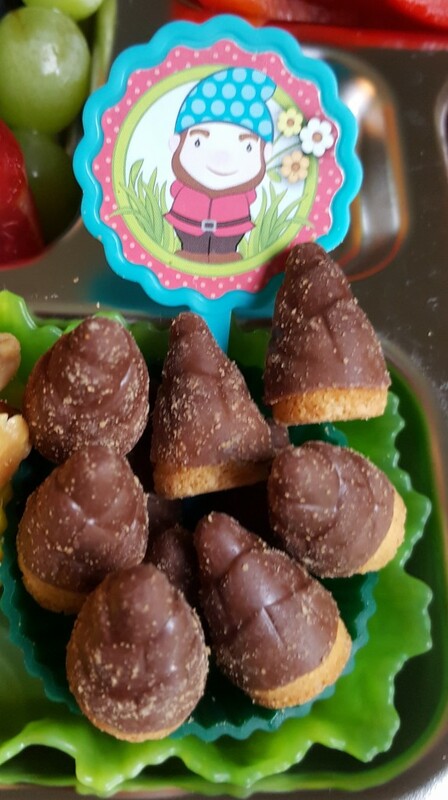 It held some peanuts and Chococones which I thought looked liked little trees and coordinated with the Gnome theme. Thanks again Kathy for hosting such an awesome giveaway! 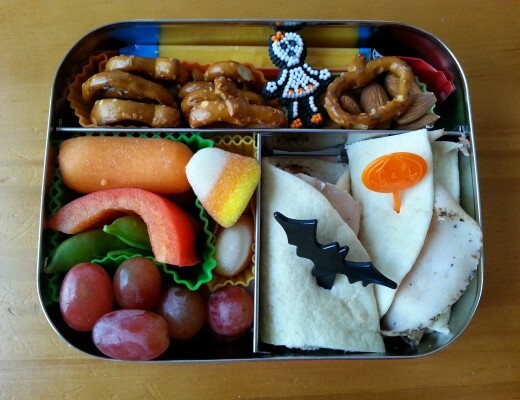 I am glad I was the lucky winner of all the cool bento gear. I know I will have lots of fun with it this school year. Looks fantastic! 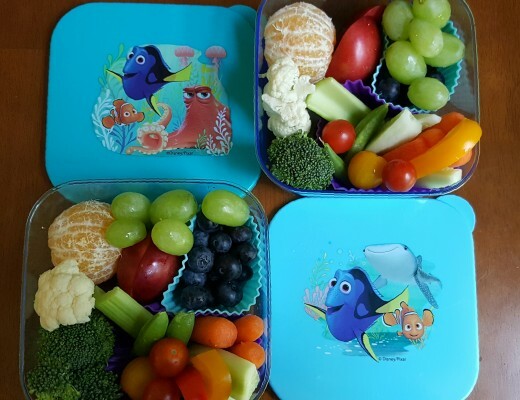 Love how you used everything to make such a cute lunch!